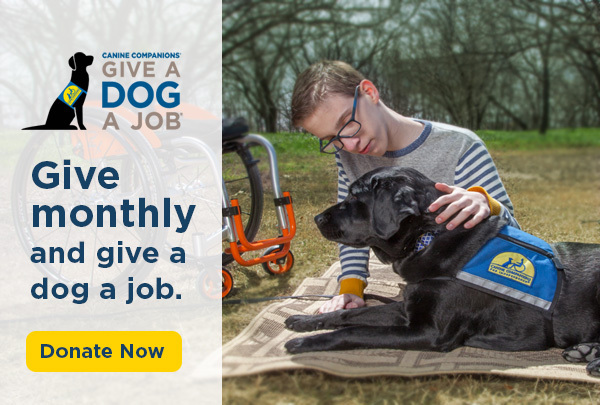 Help make a difference in the lives of countless future graduate teams by supporting the Canine Companions capital campaign for the new North Central campus in New Albany, Ohio. 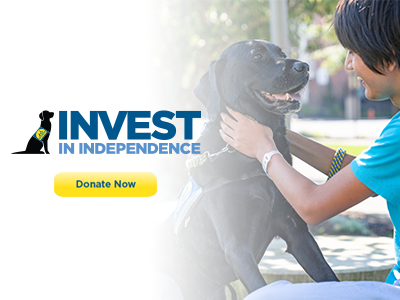 Thanks to donors like you, each life-changing dog is provided free of charge to recipients. 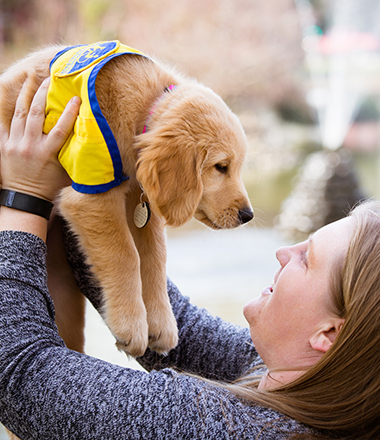 Sign up to receive news and updates from Canine Companions to your email address. Megan often has her nose buried in a book. When she’s not reading for fun, she is studying to take the bar exam this summer. 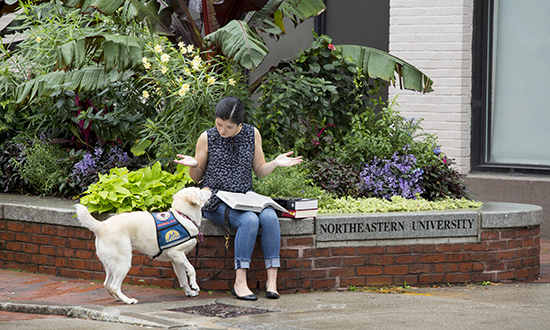 Megan recently graduated from law school at Northeastern University in Boston, but she didn’t always think that her life could take her so far from her home in California. 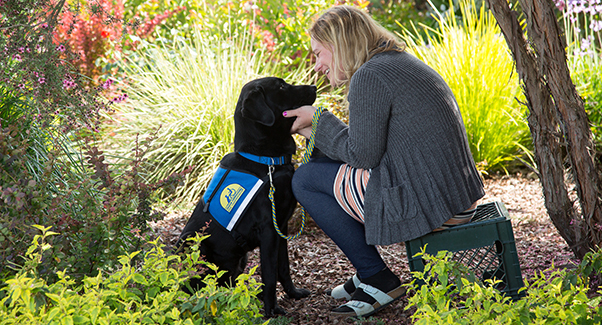 See how Megan was able to safely move away from home. Nu Ja was born with limb differences in her arms and legs, meaning they are either absent or incomplete; however, this rarely slows her down. 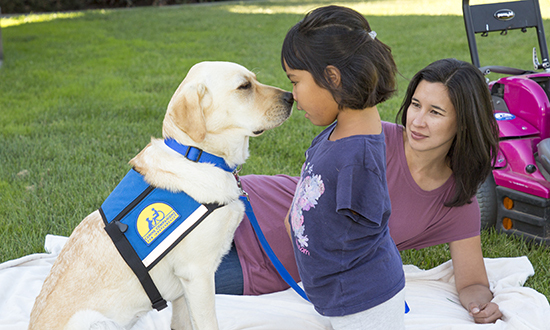 Learn how her new best friend is helping her be more independent everyday! 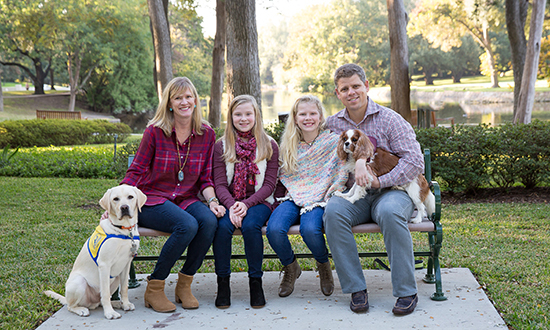 Kelly and Kirk keep busy with their pre-teen daughters, Katherine and Killian, but they wanted their girls to experience giving back to the community in a way that would be tangible. They wanted Katherine and Killian to see, feel, experience and teach. 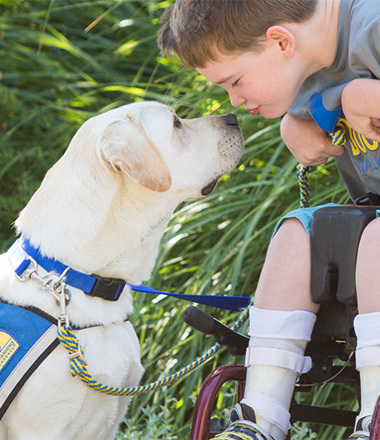 Volunteer puppy raising has given them just that. 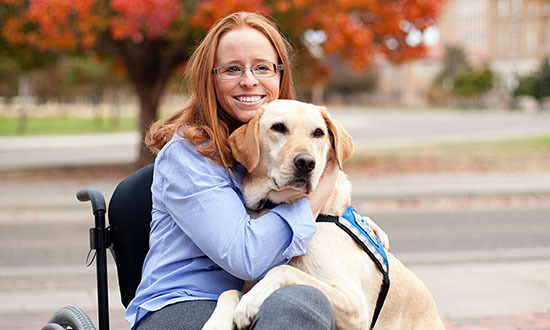 Life changed for Chelsey in 2010 when she contracted a bacterial infection after tubing on the Comal River, which led to a bilateral below-knee amputation. 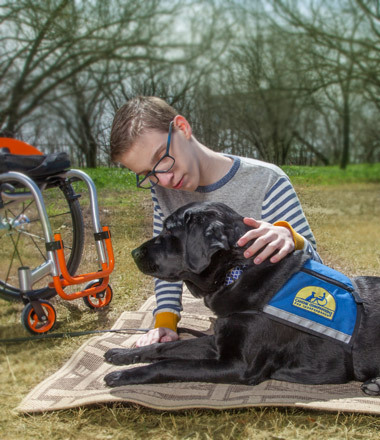 Learn how a service dog gave her back the confidence to go back to school, graduate and become a working professional. 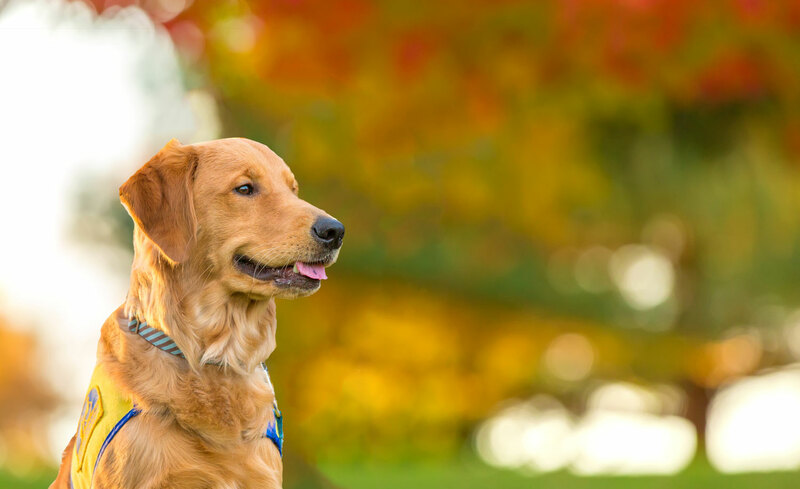 Rhode Island, Vermont, New Hampshire and Maine. Washington, Idaho, Montana, Alaska and Wyoming.